As described on the CDC website: “PRAMS collects state-specific, population-based data on maternal attitudes and experiences before, during, and shortly after pregnancy.” The SD-PRAMS survey results provide an opportunity to help improve the health of future mothers and infants. For 2017 – 2019, the EA Martin Program at SDSU has partnered with the South Dakota Department of Health (SDDOH) to conduct PRAMS surveys under the direction of the US Centers for Disease Control and Prevention (CDC). This new partnership allows the data we collect to be used in nearly nationwide data analysis, with use of data collected from other states and territories the CDC partners with for the PRAMS survey. Many of our current survey methods are the same or very similar as year’s past considering our procedures for the 2014 and 2016 PRAMS-like surveys were developed based upon the CDC’s PRAMS procedures. Our survey booklet cover design has once again changed and some of the questions have changed when compared to those used in the 2014 and 2016 PRAMS-like survey booklets. Women who give birth in South Dakota are still randomly chosen to participate in the survey. Data collection is underway! If you have received a letter and/or booklet in the mail, and/or if you have been contacted by a member of our research team over the phone, please know we would very much appreciate your participation in this study. If you do participate, your answers will be used to help mothers and babies in the future. All your answers will be kept strictly confidential. Our FIRST PRAMS Newsletter has arrived! Each quarter, we will provide updates on our progress with the PRAMS survey and include feedback we’ve received from mothers who have completed the survey. Also included will be helpful resources and topics of interest. We hope you enjoy our FIRST ever newsletter, seen here below, the Spring 2019 edition! The 2016 SD PRAMS-like survey data collection closed mid-July 2017! After finalizing our data analysis, we now hope to build on the results found through the 2014 SD PRAMS-like survey with the findings from the 2016 survey. A finalized copy of the 2016 SD PRAMS-like report is available on the SDDOH website under the Health Data & Statistics area. The 2016 survey was the second iteration of the first ever statewide SD PRAMS-like survey. For 2016, the booklet design was changed and contains updated questions from those used in the 2014 survey booklet. As in 2014, with the first ever statewide PRAMS-like survey, the 2016 PRAMS-like survey was sent to a randomly selected sample of South Dakota resident moms who deliver a baby in 2016. Only a sample of women giving birth in 2016 will be asked to complete the survey. The women who completed and returned this survey helped us collect important public health information, and we thank them. The randomly selected sample of women chosen allow for collected data to represent the state’s population. In 2014, the South Dakota Department of Health partnered with the EA Martin Program at South Dakota State University to conduct South Dakota’s first statewide PRAMS-like (Pregnancy Risk Assessment Monitoring System) survey. The 2014 PRAMS-like survey was developed based upon methodologies that CDC had been using in states and territories where they sponsored the PRAMS survey. The South Dakota tribal communities collected PRAMS data in 2007, but the 2014 survey was the first time mothers statewide had the opportunity to provide feedback that will make a difference in their communities and their state. Results of the 2014 PRAMS-like Survey Report can be found on the SDDOH website. An Executive Summary can also be located on the SDDOH site and provides significant findings by each survey topic area. 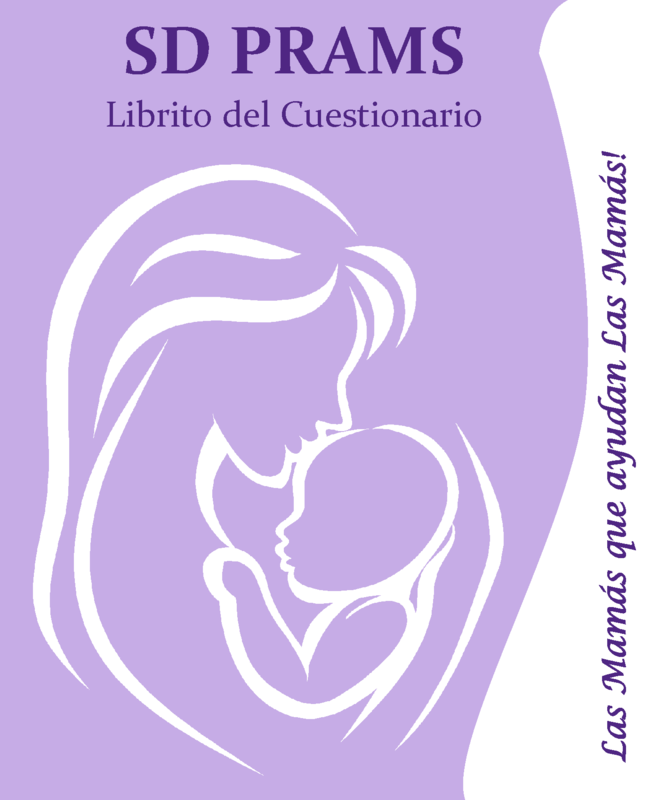 Each month, a random sample of new mothers will be picked from birth information provided by the state.The PRAMS questionnaire survey booklet will be mailed to selected mothers when the baby is about 2 months of age. Responses from all completed surveys will be analyzed to provide information on maternal experiences and attitudes around pregnancy. At no time is a name associated with the individual survey results. PRAMS written materials are available in both English and Spanish. An English survey is also available online if mothers would prefer that option. An online survey was available for the 2014 and 2016 PRAMS-like surveys but for the 2017 PRAMS survey, there is currently no online completion option.